Bradley Wiggins earned her MA in International Affairs with a concentration in International Development and Conflict Resolution. While attending the Elliott School, she focused on the impact of armed conflict and security threats on educational systems – specifically in Africa. Bradley’s Global Capstone Project analyzed strategic considerations for harmonizing language education policy and practice in South Africa. During graduate school, Bradley first worked as an intern for Global Classrooms DC, the flagship education program of the United Nations Association of the National Capital Area (UNA-NCA). She then joined the U.S. Department of State as a Pathways intern, later converting into a full-time employee. Currently, Bradley works as a Program Coordinator in the Bureau of Educational and Cultural Affairs, Office of International Visitors, Near East and North Africa Branch. Before completing her graduate degree, Bradley received her BA in History and Art History from the University of South Carolina. She then served as a 2014 Teach for America corps member in Nashville, Tennessee, where she taught high school for two years. Bradley is originally from Statesboro, Georgia. I work as a Program Coordinator for the U.S. Department of State’s International Visitor Leadership Program (IVLP). The IVLP is an exchange program for current and emerging international leaders who travel to the U.S. for programs that reflect their professional interests and U.S. foreign policy goals. My team and I work with U.S. embassies in the Middle East and North Africa to identify changemakers who will have an impact on their professional field for years to come. In my position, I am instrumental in the logistical planning and consular components of this program. This includes composing a variety of reports and cables to support the region. I also serve as a liaison between staff at embassies and our non-governmental affiliates to ensure that our exchange visitors have all of the necessary travel documents and exchange information to ensure a successful program. Additionally, I assist with program orientations, attend Department of State regional briefings with our participants, and conduct closing evaluations. What was your experience with the job search post-graduation? Can you provide any wisdom for students who will start their job search? Since I was already working as a Pathways intern, my job search post-graduation was slightly different than some of my peers. Instead of searching for a new position, I had to navigate the conversion process to become a full-time federal employee. Although programs such as Pathways may not guarantee you a position upon graduation, they do offer the opportunity to gain relevant work experience, acquire a security clearance, and build your network from within an agency while completing your graduate studies. All of these are valuable advantages to finding a job upon graduation. For these reasons, I would encourage students to research opportunities such as Pathways early on in their graduate career. Having been around for nearly 80 years, the International Visitor Leadership Program has a rich history. The program has supported U.S. foreign policy by fostering the mutual exchange of information across a range of key sectors such as education, security, and governance. The IVLP welcomes around 5,000 exchange participants every year and relies on the commitment of nearly 90 volunteer-based community organizations in 44 states. More than 200,000 International Visitors have engaged with Americans through the IVLP. Many of these exchange participants went on – later in their careers – to become Chiefs of State or Heads of Government, such as Anwar Sadat and Margaret Thatcher. It should not come as a shock to anyone who knows me that I would definitely be a corgi. Take one look at my desk at work and you will find a corgi calendar, magnets, and stickers. I even recently attended the Million Corgi March in Washington, DC and am now certain that being surrounded by corgis is the epitome of true joy. I really can’t pinpoint what makes corgis so great, but I believe it has something to do with the disproportionate nature of their short legs and big ears that makes them so lovable. For these incredibly thought out reasons, I without a doubt would be a corgi, potentially in a costume or sweater, because what is better than that? George Raskovic is a graduate of the International Affairs MA program. 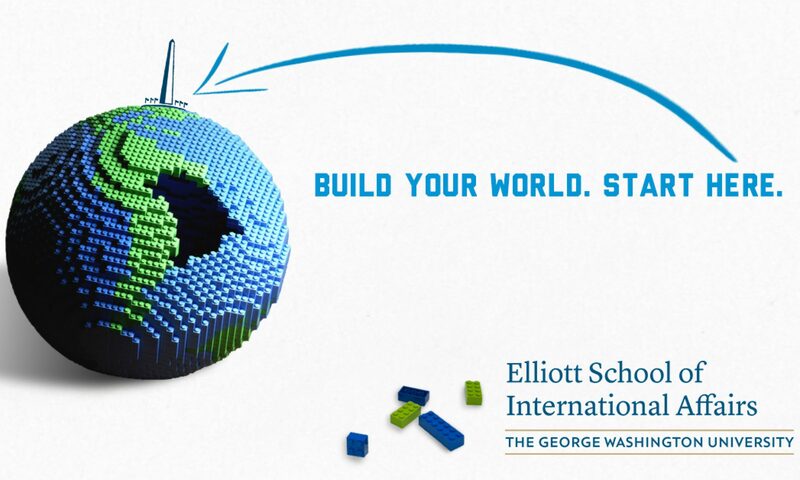 His focus while at the Elliott School was in international development, environmental and energy policy. In 2017, he was awarded the Freeman Fellowship Award, which allowed him to work for a climate change resiliency organization in Indonesia. During his time there, he witnessed firsthand the economic vibrancy of urban Asian communities and decided to do his capstone on the economic and social growth potential of e-commerce in Indonesia for the US-ASEAN Business Council. After his graduation, George started a Research Internship at the Center for Strategic and International Studies’ Energy and National Security Program. He is interested in how new technologies in clean energy can ensure sustainable and substantial development in emerging markets. I am currently a research intern at the Center for Strategic and International Studies. My responsibilities include conducting extensive research on the sanctions regime against Russia, its effects on the U.S. economy, and a vulnerability assessment of U.S. energy companies doing business in the country. What are the current trends driving the future of your career field and what advice would you provide an Elliott School graduate student that is interested in your field of work? As new technologies allow for more accurate and in-depth data to be published, being able to understand and interpret them is essential for any professional in the field of policy. Furthermore, professional experiences abroad are crucial, for expanding one’s worldview, establishing cultural understanding, and being able to navigate the diverse community of international affairs successfully. When you need inspiration, you … ? I take a walk! DC is a city of museums, food, music, and everything is a short distance away. If you could travel anywhere in the cosmos, outside of Earth, where would you go and why? Mars is going to get popular soon; I guess I should go check it out before the lines get too long. Maria Dolores Vallenilla is a Venezuelan lawyer with over 8 years of professional experience and a master’s degree in International Development Studies from the Elliott School of International Affairs. She is currently working at the Inter-American Development Bank to advance gender equality in the mining, oil and gas sector in Latin American and the Caribbean. Currently working at the Inter-American Development Bank as a consultant in the Extractive Sector Initiative and managing technical assistance to include a gender equality approach in mining, oil and gas policy. The policies and programs we are looking to implement do not only in integrating more women in the sector through formal direct and indirect employment opportunities but also thinking through policies and interventions that mitigate risks and maximize benefits to women in host communities that tend to experience the short-end of these investments when compared to men. Hard. As an international student with visa restrictions, I concentrated on International Organizations as soon as I started my master’s program. After working in part-time internships through summer and my 2nd year, I started applying for jobs early in 2016. Fortunately, I started working at the IDB 2 months after graduation and I believe that the IDS program was key to my career change and continues to be key in my career advancement. Start early, develop a smart networking strategy, patience and perseverance are key for any DC job search. Working in an International Development Bank does have its perks, even after the short-contract to short-contract phase that can sometimes be exhausting. I have had the possibility to personally contribute by overseeing consultants who are devising policy; seeing that policy finally enacted is amazing. In this HEAT? A tortoise, so I can easily go into the water and hide under my shell during the summer months in DC.